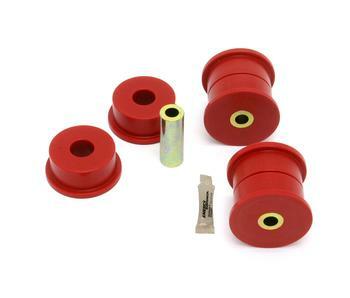 Reduce differential bushing deflection and minimize wheelhop with polyurethane differential bushings from BMR Suspension. 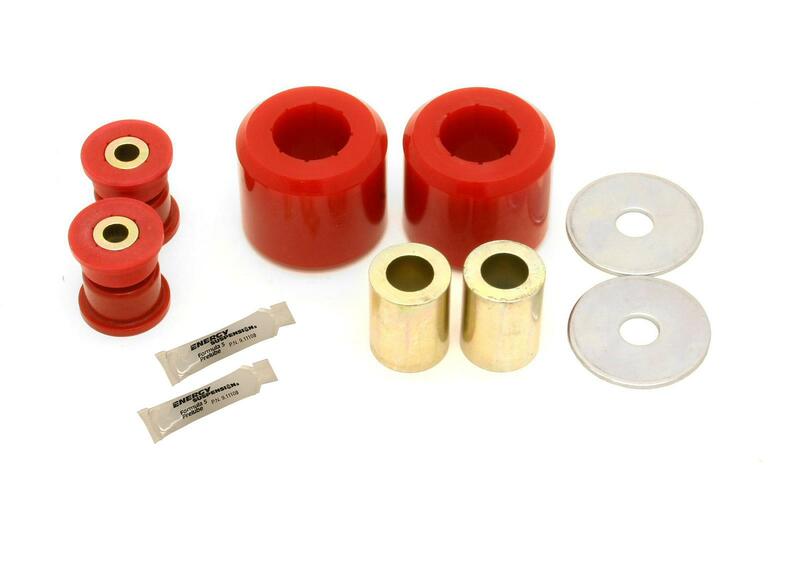 Polyurethane is a synthetic polymer that has many properties that make it far superior to OEM rubber bushings. 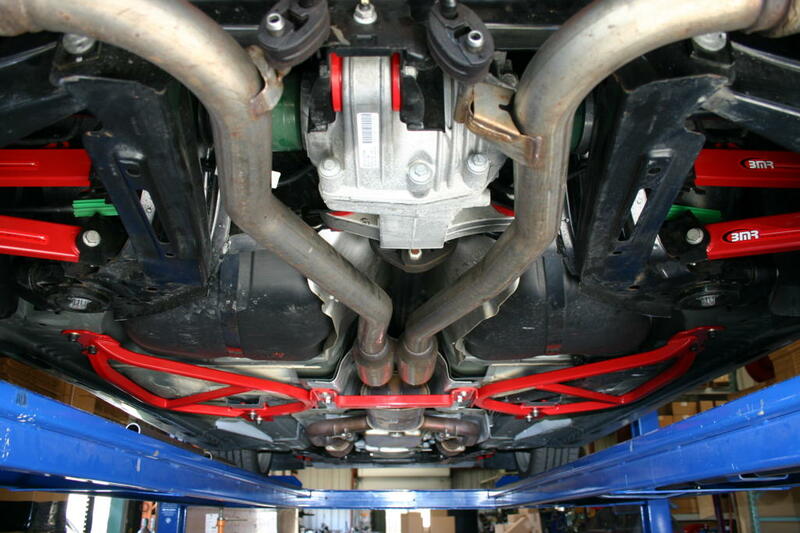 Polyurethane deflects far less that soft rubber, and it doesn’t breakdown from exposure to petroleum products, road salt, ozone, and other elements of the harsh undercar environment suspension bushings live in. 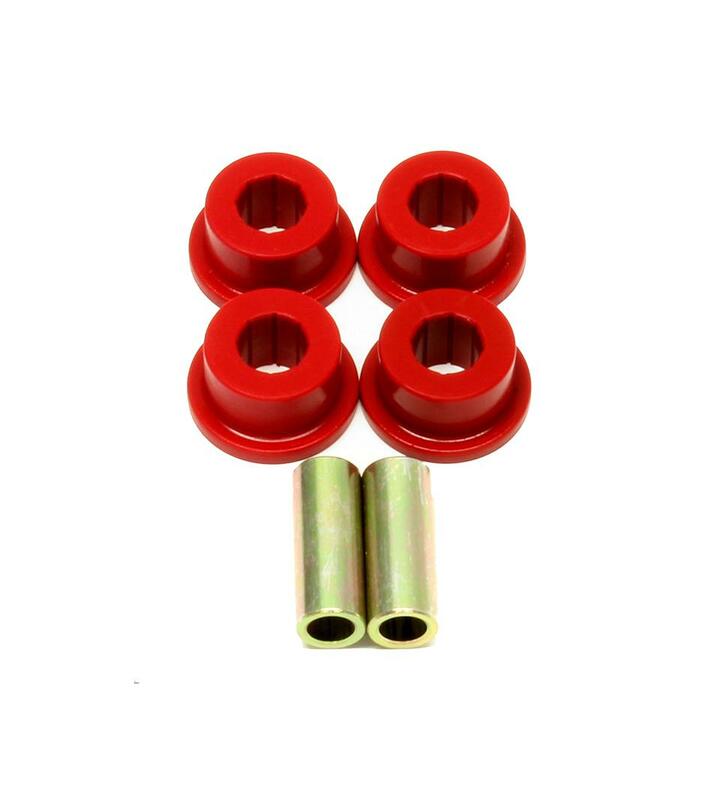 BMR’s polyurethane differential bushings (BK029) drastically increase differential stability over the factory rubber bushings. 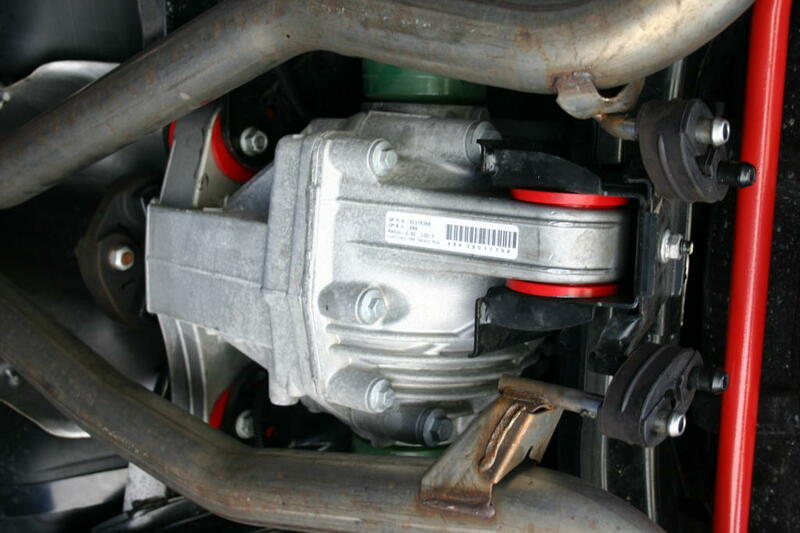 The bushings are molded from 95-durometer polyurethane, which reduced bushing deflection, while still absorbed road noise and engine vibrations. 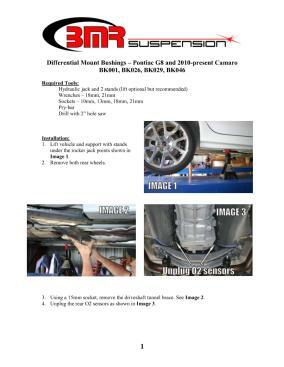 This allows you to increase performance without decreasing comfort. 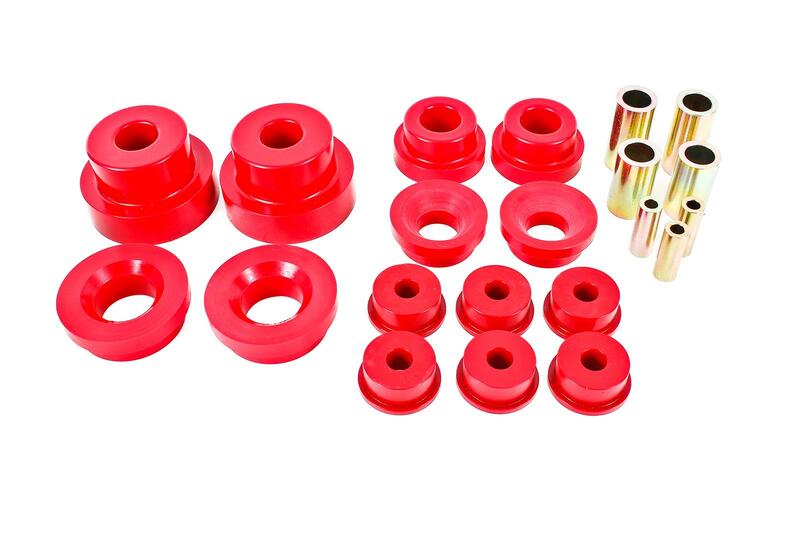 Designed for any high-performance street performance, drag race, and handling application, BMR Differential Bushings minimize power robbing differential movement by replacing the OE soft rubber bushings with high-durometer 6-piece polyurethane bushings. 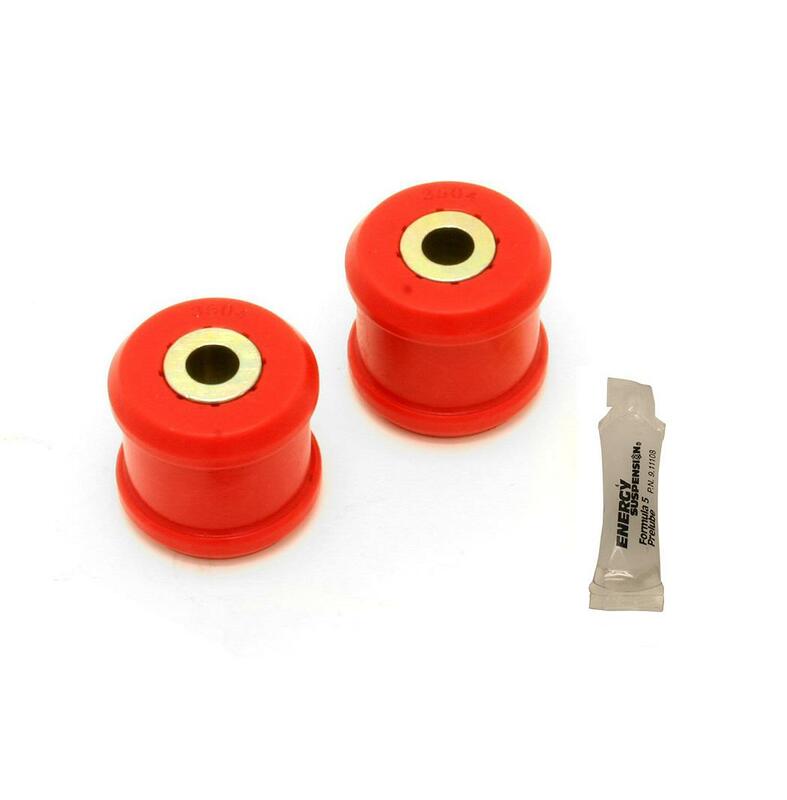 The 95-durometer polyurethane bushings effectively minimize wheelhop without contributing to road noise or driveline vibrations. 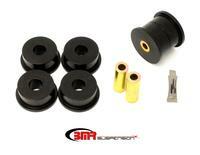 BMR differential bushings should be considered an absolute must for any type of high performance driving. 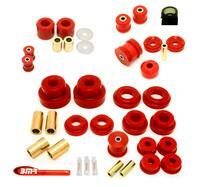 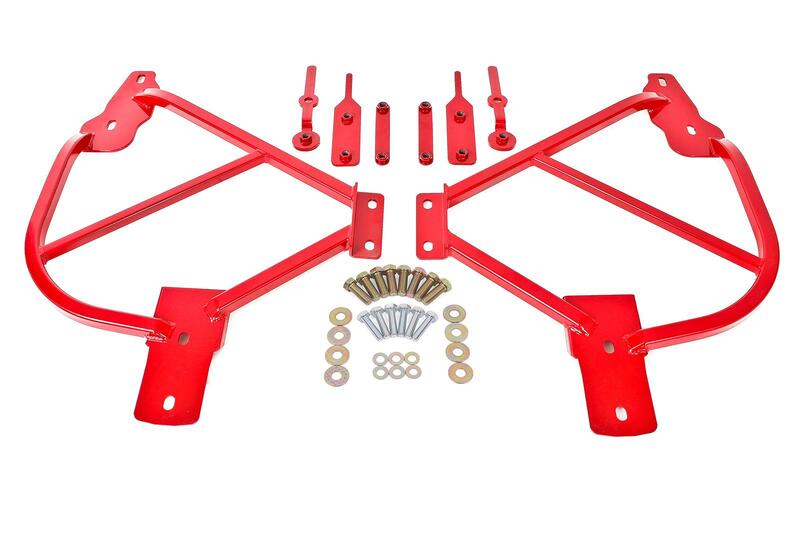 BMR Suspension’s BK029 Differential Bushing Kit is available in red. 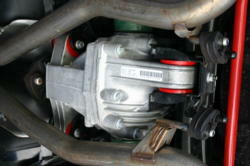 Installation time is about 4-5 hours and may vary depending on stock bushing removal technique. Proudly made in the U.S.A.!